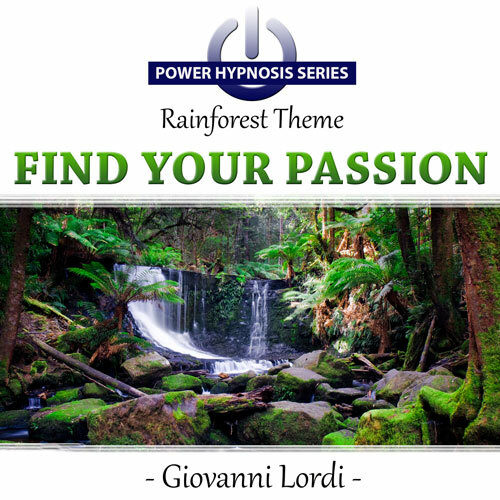 A short power session to raise your passion & energy levels! I designed this power hypnosis sesssion for those days when we lack enthusiasm, passion or enjoyment for whatever it is that we are doing. It runs for 20 minutes and is perfect to use during a break at work or during your daily routine. You can find a spare 20 minutes, listen, and then go back to your day feeling revitalized, refreshed and more passionate about what you have to do. I have made this program in a way that will take you into a nice deep level of hypnosis really quickly. This will help you maximize the time spent having a short break away from what you are doing. Coming out of the session you will awaken feeling more revived, fresh and ready to tackle the rest of the day. There are also additional reinforcements in the hypnosis script that prompt you to discover ways of finding more interest in what you are doing and how you do it. I have designed this program to be interactive with the background soundtrack. This helps create a multi-dimensional listening experience and helps reach a deeper level of trance more quickly. On this recording I will guide you to a private rainforest sanctuary, which is reinforced by the background audio containing a very relaxing forest soundscape. Further to this, the binaural beats progress quickly to a deeper level of theta, helping you maximize the 20 minutes by reaching a deep trance level quickly.